How to Unlock Bootloader on Xiaomi Redmi 6 - FULL GUIDE! Here is detailed guide on How you can Unlock Bootloader of Xiaomi Redmi 6 Smartphone using an official method which is unlocking via Mi Flash Unlock Tool. Xiaomi Redmi 6 is totally a surprise package for every flagship smartphone users. Its immediately gained the customer attraction who is looking for a new phone. The Chinese Smartphone company Xiaomi always comes up with new smartphones embedded with great specs and features. Xiaomi phones runs on the forked version of android OS which is MIUI developed by xiaomi company itself. The MIUI is most popular ROM available for any any android device which gives you lots of customization option to customize your phone. Now all the latest Xiaomi devices comes with locked Bootloader due to some security reason. We can mi bootloader unlock easily after following some simple and easy steps. Continue reading to find complete steps along with detailed screenshots. Before moving to Xiaomi Redmi 6 Pro bootloader unlocking process let’s have a look at Redmi 6 Pro specifications. All of you have a question in mind that “Why xiaomi locks bootloader of xiaomi devices?” The answer is very simple. Xiaomi locks bootloader of latest xiaomi phone due to some security reason. They wants to ensure full safety to their users if their phone is lost or stolen. If phone is stolen or lost then anybody can wipe the data and flash any other Rom. It will be impossible to get back the phone. So, in the latest mi update xiaomi has increase the safety of xiaomi device. Now if anybody wipe the data and try to access the phone he/she need mi account id and password to access the phone. With locked Bootloader that user can not flash custom ROMs to use your device, Even he can not boot to stock recovery for factory data reset. Disclaimer: Performing any developer operations including Bootloader Unlock will void your phone Warranty. So, it’s you who will be responsible for any damage occurs during or after the unlocking process. We should not be held responsible. Why should i unlock bootloader of Xiaomi Redmi 6? For all Tech Enthusiast who wants root access on their phone, Ability to flash stock firmwares, Install custom ROM on their phone. Installing Custom Kernels & tweaking your Android System to the next level. For all of these things you have to unlock Bootloader on Redmi 6 first. Now, Here is the Xiaomi Redmi 6 Bootloader Unlock process using Mi Flash Unlock Tools. We will not be responsible for any damage caused. But if you get any error or problem during xiaomi bootloader unlock then we are always ready to assist you. You will lose all your device data so please take full backup of your phone data. Always keep in mind that You will void your device warranty. Also, Make sure that you are on Official MIUI ROM before starting unlocking Process. Install Xiaomi Xiaomi Redmi 6 USB Driver on your computer. Enable USB Debugging and OEM unlocking on your Xiaomi phones. Enable USB Debugging :- Open Settings > About Phone > Click 7-8 times Continuously on Build Number. After tapping on it for almost 7 times it will enable developer option on your phone. USB Debugging & OEM Unlocking : Get back to Settings > Additional Settings > Developer options > scroll down and Enable USB Debugging & OEM Unlocking. 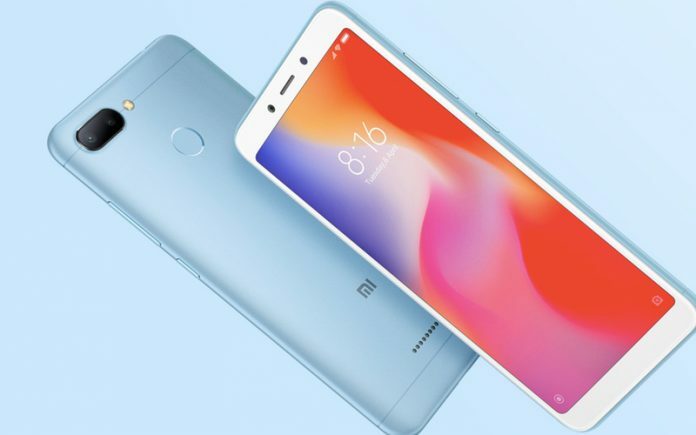 How to Unlock the Bootloader on Xiaomi Xiaomi Redmi 6 ? Bootloader unlocking process is divided into two parts firstly you have to Apply for unlocking Mi devices. Then after getting permission you can download mi flash tool and unlock bootloader of Redmi 6. Finally, It’s time to unlock Redmi 6 bootloader. We will use Mi flash unlock tool to Unlock xiaomi redmi 6 bootloader. Step 1. First of all enable developer option on your phone. Read this guide to enable Developer option. Step 2. Download and install Flash tool on your window pc. Step 3. Now you have to reboot your device in bootloader mode. Step 4. Now open miflash tool and login with the same Mi id which you have logged in on your xiaomi device. Step 5. Now connect your phone to the computer through USB cable. Step 6. Now press the “Unlock” button. It will take 15-20 seconds for the process to complete. Step 7. Congratulation!! You have successfully unlocked Redmi 6 bootloader. After successfully unlocking bootloader just reboot the device for further use. As you have miui unlock bootloader of xiaomi device now you can root or install custom Rom on your phone. Friends if you are facing any issue then you can watch this video for proper guide on How to Unlock Bootloader on Redmi 6 Pro. Friends, this was the complete guide on How to Unlock Bootloader on Redmi 6. I hope you will find this article helpful. If you have any queries related to this article then please tell us through comments. All The Best..